Kanchipuram silk sarees stands out from all the other sarees due to their intricated design. Original Kanchipuram silk sarees are woven from finest quality of mulberry silk and real silver zari. 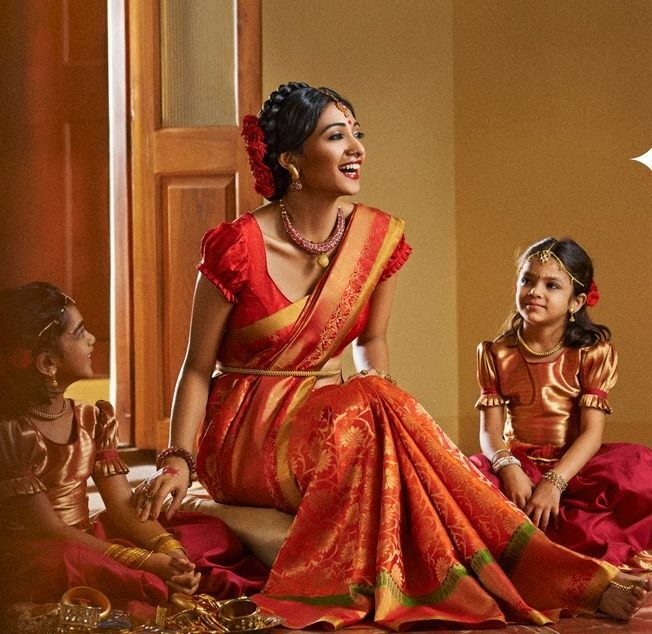 Before a few hundred years, the silk sarees are made with gold zari instead of silver. Silk sarees comes with contrast, self-border, temple, floral and peacock designs. Pallu, the flowing part of the saree, has designs of paintings of Ravi Varma, leaves, butta, lotus and peacock. RMKV is in silk business for past 93 years. My wedding saree is from RMKV, many of their wedding sarees are made with pure silver zari. They have unique colors and new trendy collections. They have silk sarees in all price range, and their quality is so awesome, when maintained properly they stay beautiful for years. 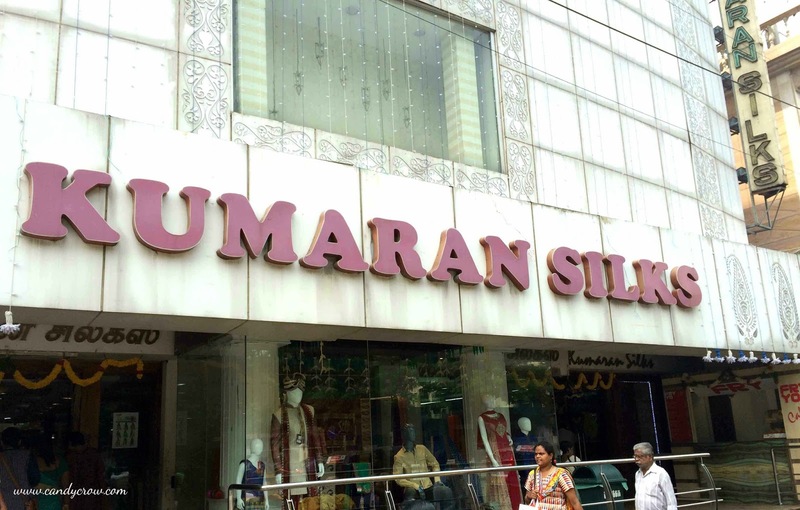 Kumaran silk is delivering beautiful silk sarees for more than 60 years. They bring out new trends in the traditional pattern. 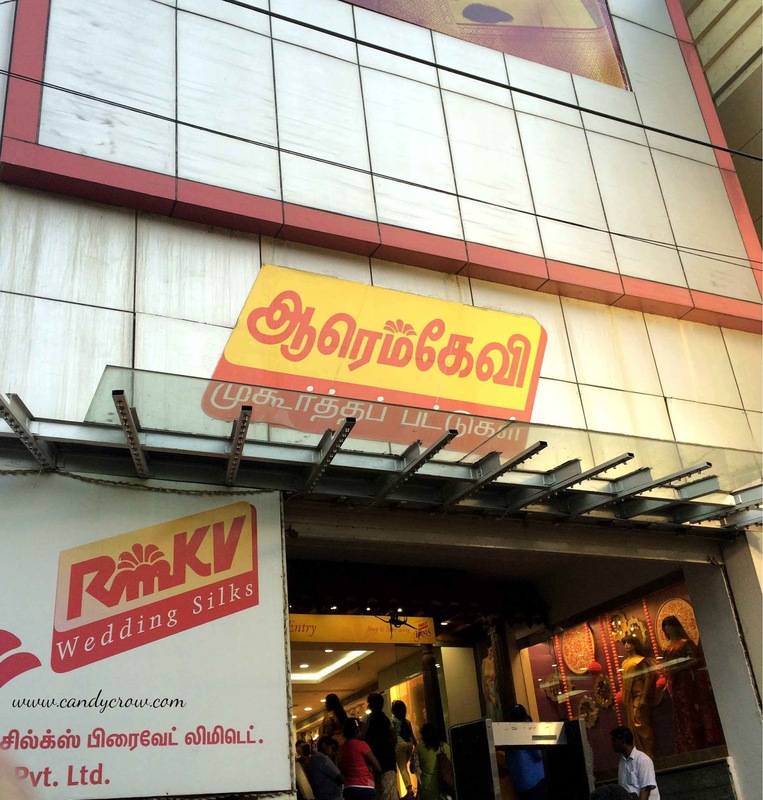 My engagement saree was from this shop. They have beautiful and modern zari designs in traditional colored silk saree. Kumaran silks have their own setup of handlooms around Tamil Nadu, and This helps them in maintain the quality of their silk saree. 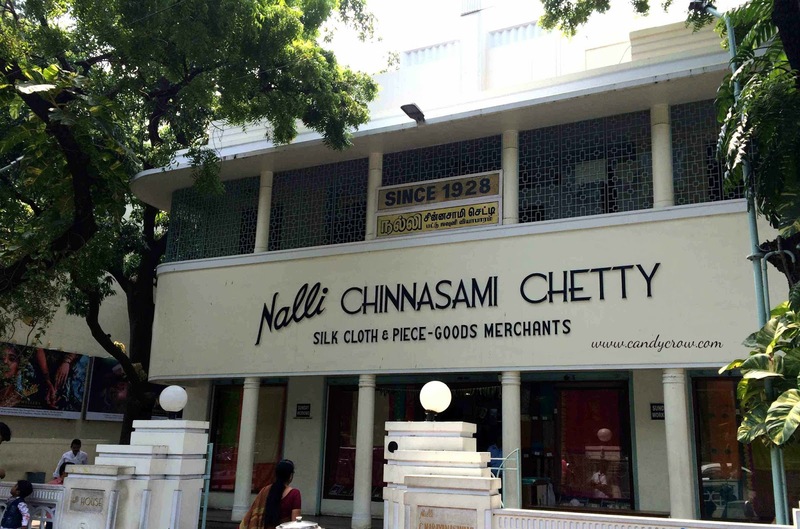 With 87 years of experience in silk saree business, Nalli is the place to go for if you are looking out for traditional colors and designs. 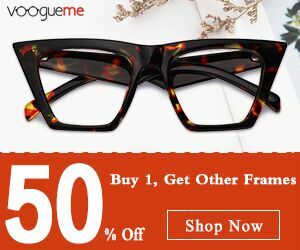 Price is a little bit on the higher end in this shop, but if you like the color and design, you can go head and get it without any second thought as nalli is known for their quality. If you are a modern bride who needs a dash of modern design and color in her wedding saree, this is the place for you. They have silk sarees in all price range, and they are well known for their soft silk sarees with geometric designs. 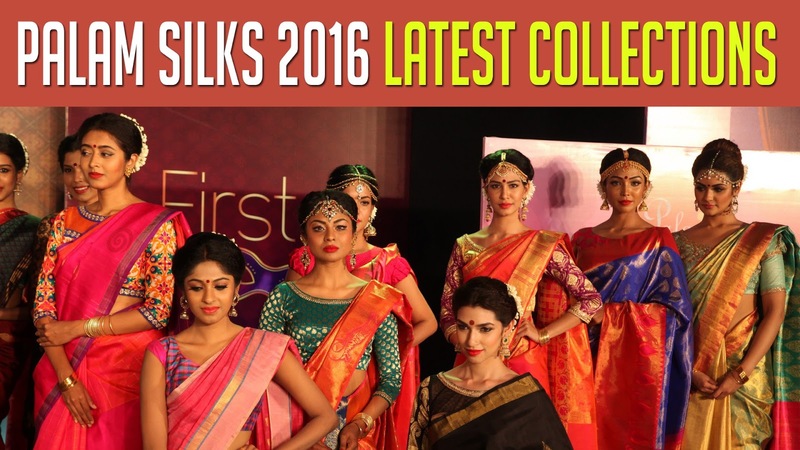 If you are a college girl who is looking out to buy a unique silk saree, check out Palam Silks. After all, they are the official saree partner for the movie Chennai Express. This place has all varieties of saree, yet they are famous for their silk saree in Chennai. 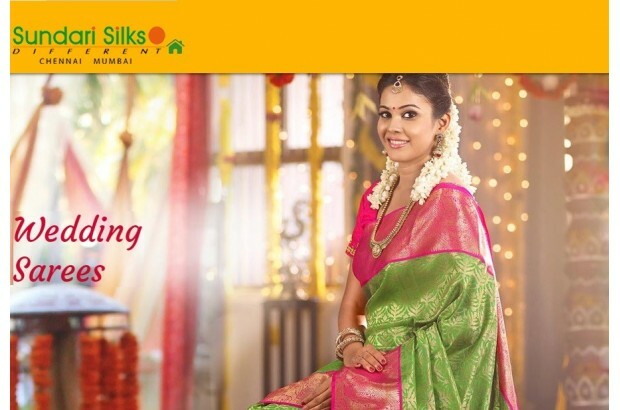 Sundari Silks has traditional silk sarees in unique color combination. If you want your wedding saree to be quite traditional but with an unique color combination, this is the place to be.